We recently read an article covering 7 reasons you should consider retreats over regular vacations and it resonated well with our practices. 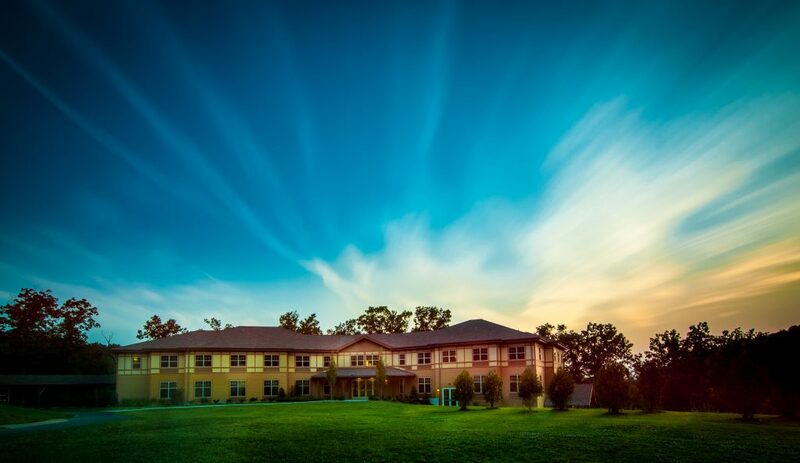 Take a moment to consider how our retreat center could be the perfect solution for your next getaway. “In addition to offering you an escape from a tiresome routine, retreats set themselves apart from mere vacations due to the specific intent behind them.” We’ll not only take care of the details during your stay at Capital Retreat Center, but also offer you insider access to nearby Gettysburg, Ski Liberty, Washington DC and Baltimore that will make your occasion one to remember. “Retreats are aimed at providing you the solitude you need.” From arranging your customized menu to scheduling instructors for our challenges courses, or simply giving you the peace of mind knowing that you have a personalized concierge on call 24/7, leave it to us to take care of it all. “One of the biggest advantages of going on a retreat is that it offers you proximity to nature and its healing touch” Nestled between serene lakes and surrounded by the Appalachian Trail, our first-class facility awaits your group in the stunning Catoctin Mountains of Pennsylvania. “Retreats attract people with similar concerns or interests and, hence, offer you the opportunity to spend memorable moments with like-minded people who are looking to achieve the same goals as you.” We know you want to connect with the people that matter most to you, so let our team of experts take care of the planning. Whether you’re throwing a friend’s 50th, plotting a youth group encampment, planning a regional group convention or simply wanting to get away with friends, our specialists will let you rise above the details and customize an unforgettable retreat for your group. “Retreats include trainings, exercises, or counseling sessions by experts who allow you to see your own shortcomings and help you improve your spiritual, mental, and physical well-being.” Our experienced informal educators have planned study materials and experiential programs for guests from ages 2 to 92, including life cycle events, adult seminars and classes, teen discussions and values clarification programs, youth movement programs on a variety of topics and levels, and holiday and Shabbat programming. “One thing that skyrockets the efficacy of retreats in facilitating rest and relaxation as compared to ordinary vacations is that your service provider manages them.” Have you ever been the one who had to do all the planning for a trip with your organization, school, congregation, friends or family? Wouldn’t you love it if an experienced team of Guest Services professionals could help you narrow down the options and confirm all the details, without any added fees? “Retreats are pre-planned and include exclusive features like professional consultation and trainings in addition to all the facilities of a simple vacation—thus, making them more financially feasible and reliable.” We offer this service to you complimentary with any group booking of 15 or more participants. An extraordinary value!